I have just concluded my fourth official visit to the country as Special Rapporteur on the situation of human rights in Myanmar. I would like to thank the Government of Myanmar for its invitation and for granting me an extended visit of twelve days. This has not only allowed to me to travel to Kachin, Rakhine and Shan States, but also to devote more time in Nay Pyi Taw to engage with different ministers in the new Government. I would also like to thank the United Nations Country Team for their assistance throughout my visit. Additionally, I would like express my appreciation to the broad range of interlocutors with whom I met for their openness and cooperation with my mandate. My programme is listed in detail in the Annex. The peaceful transition to a democratically-elected and civilian-led government after five decades is a significant milestone for Myanmar. My visit thus takes place at an important juncture for the country. After the euphoria in the wake of last year’s elections, the reality of the significant and wide-ranging challenges facing the new Government has not significantly dampened the sense of optimism and hope amongst many sectors of the population. It will therefore be the key test for this new Government to capitalize on the overwhelming public support and current momentum to push forward its priority agenda and reforms. I welcome the Government’s commitment to furthering democratic transition, national reconciliation, sustainable development and peace, and the important steps already taken in this regard. The objective of my visit, therefore, was to make a comprehensive, objective and balanced assessment of the human rights situation in this new landscape. Today, I wish to highlight some preliminary observations from my visit. I will present a full report to the 71st session of the General Assembly later this year. Consolidating democracy and building a culture of respect for human rights is a complex undertaking that requires political will and sustained investment in enhancing the functioning and integrity of State institutions and bodies. Important human rights principles must underpin this process so that State institutions and bodies prioritize the needs and rights of the people in Myanmar’s diverse society. In meeting with various interlocutors in Government and Parliament, I was encouraged to see a burgeoning understanding of this role and a broad commitment to further reform. I was struck by the candid exchange of views on human rights concerns, and the frank assessment of the remaining challenges ahead. At the same time, I observed the very real tension between a new civilian leadership and a bureaucracy inherited from previous military regimes which often resulted in a duality in policy and approach. I also observed the challenges in trying to enhance democratic governance within an institutional framework that impedes the development of democratic practices and respect for human rights. Overcoming these challenges will require further reforms and a change in behaviour and mindset. While this will take time, these issues cannot be overlooked and must be continually prioritized. I was pleased to note that many aspects of the various 100-day plans of union ministries were broadly in line with the human rights priority areas set out in my last report to the Human Rights Council. I encouraged closer cooperation with my mandate and the international community in their implementation. At the same time, I noted that many of these plans were not well-publicized and had, for the most part, been developed with little or no public consultation or input from relevant stakeholders, in particular civil society. Looking ahead to the development of a longer-term five-year plan for the Government, greater efforts must be made to address these shortcomings. Parliament also has a central role in the promotion of democracy. During my visit, I had the opportunity to engage with parliamentarians and various parliamentary bodies. While there was a clear need to enhance the capacity and functioning of this young institution and its new members, I was impressed by the understanding shown of their important check and balance functions over the executive. I welcomed their frank assessment of current structural challenges, such as the 25 percent military bloc, and the lack of a separate professional secretariat (with current support provided by the General Administrative Department under the Ministry of Home Affairs). In order to ensure a properly functioning parliamentary culture, the independence of Parliament must be ensured and members of Parliament should be able to exercise the right to freedom of speech in the course of discharging their duties. It is crucial that Parliament be a forum for expressing opinions reflecting the different interests of Myanmar’s multi-ethnic society. I also met members of the Myanmar National Human Rights Commission and encouraged the Commission to more fully step into its role as an independent advocate for human rights. While welcoming the many promotional and awareness-raising activities undertaken, the Commission should not shy away from addressing issues deemed sensitive to the Government; this is precisely when a neutral and objective human rights voice is most needed. The foundation for any functioning democracy is the rule of law. I therefore welcome the priority given to upholding the rule of law and to strengthening legal and judicial institutions. Central to this is the continuing review and reform of legislation, particularly outdated laws that have been deemed to be inconsistent with international human rights standards. I am encouraged to see quick and real progress on the recommendations of the Legal Affairs and Special Cases Assessment Commission to amend 142 laws, including the recent repeal of the State Protection Act. While noting some improvements to the Peaceful Assembly and Peaceful Procession Act, several shortcomings remain and I hope to see these remedied before the Law is promulgated. However, I am acutely aware that more needs to be done. During my visit, I consistently drew attention to many laws still on the books that continue to limit the full enjoyment of human rights. I therefore renew my call for a comprehensive legislative review to be undertaken, with clear target dates for the conclusion of the review. Also during my visit, I continued to hear concerns about the lack of systematic consultation on draft laws and the opaque process of legislative reform. Clear timelines should be established for the review of draft laws and an appropriate consultation process should be developed to ensure transparency and adequate engagement by civil society organizations and members of the public. A vetting mechanism should also be established to ensure that all draft legislation complies with international human rights standards. Finally, in the current transitional environment with delicate relationships still being forged between different constituents, Myanmar must not lose sight of the need for constitutional reform. Many shared my view but acknowledged that this remained sensitive and would not likely be feasible soon. Nevertheless, I urged continued discussion and consideration of this important issue particularly within Parliament and by the public at large. The enjoyment of the rights to freedom of expression, association and assembly are essential ingredients for Myanmar’s democracy. Many are hopeful that continuing restrictions on the exercise of these rights will soon be lifted by the new Government. However, recent incidents, such as the banning of a film during a human rights film festival and the denial of permission for a press conference on a civil society report alleging grave violations by the military, are worrying signals. Additionally, I was informed by several civil society actors that they are facing visa restrictions, or have once again been placed on the ‘blacklist’. I have previously highlighted concerns regarding the arrests and prosecution of individuals exercising fundamental rights. I stated that such practices were creating a new generation of political prisoners. While I have not seen the same frequency and scale of arrests, problematic legal provisions continue to be applied and the practice of bringing multiple charges across different townships for the same offence or historic offences also continues. Additionally, journalists and media workers continue to face legal action under outdated defamation laws. I also continue to receive reports of monitoring and surveillance of civil society actors and human rights defenders. During this visit, I unfortunately was informed that my interlocutors were photographed by security officials, and were questioned prior to and following our meetings. During a private meeting with a village community in Rakhine State, I discovered a recording device placed in the room by a Government official. I therefore renew my request to all civil society actors, media workers and prisoners with whom I met to report to me any cases of reprisal. 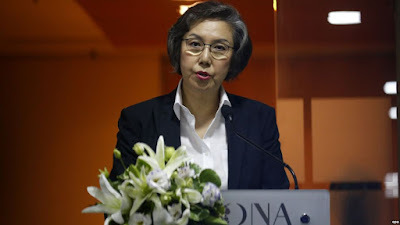 I also reiterate that the Government (in particular the Ministry of Home Affairs and Special Branch police) must ensure the safety of all my interlocutors and guarantee that they will not face any reprisals, including threats, harassment, punishment or judicial proceedings as required by the Human Rights Council. I have been assured by the Deputy Minister of Home Affairs that these practices will cease in future visits and that no reprisals will occur. In my previous visits, I had also been assured by the then Minister of Home Affairs that these practices will cease. Nevertheless, they are still continuing. Old habits do die hard. As the United Nations Secretary-General has said “civil society is the oxygen of democracy”. It is clear that a change of mind-set is still needed at all levels of Government to allow civil society and the media to flourish. Going forward, the fundamental role of civil society in supporting further democratic reforms and in advocating for human rights must be better understood and fully recognized. Civil society can also monitor the abuse of power and corruption and hold state institutions to account. Criticism helps to strengthen democratic institutions and critical voices should not be excluded or restricted, but rather, empowered and supported. Partnerships with civil society should be built and strengthened. I commend the recent amnesties granted to political prisoners. This is a significant step which affirms the Government’s commitment to democratic transition and national reconciliation. I note that many individuals, whose cases I had previously raised, have been released with the charges against them dropped or pardoned. I met with some of them during my visit, including U Gambira earlier today upon his release. Many political prisoners remain behind bars however and their cases should be urgently resolved. I am aware that there continues to be discrepancies in the number of remaining political prisoners from different sources. Accordingly, a comprehensive and thorough review of all cases by the Government, based on broad consultations with all relevant stakeholders, is needed to clarify records. Related to this, in my view, is the need to develop a formal definition of political prisoner in consultation with all relevant actors. I also hold the view that former and released political prisoners should not be subject to administrative and other restrictions that impede re-integration into society. These include restrictions in the acquisition of passports and professional work licenses, and in enrollment in formal university education. Additionally, released political prisoners, particularly those who suffered ill-treatment or prolonged periods of solitary confinement, should be given the necessary medical and psycho-social support. The Government informed me that the peace process and the need to end continuing armed conflict in several areas of the country is a priority. In a worrying development since my last visit, a new front of fighting has broken out in Rakhine State. Fighting also continues in Kachin State and has taken on new dimensions in Northern Shan State. On the ground, this violence continues to have a severe effect on the lives of civilians. In particular, I continue to receive reports of human rights violations committed by all parties to the conflict and in all areas where active fighting continues. One individual told me that her sibling had been kidnapped and there was still no news of his fate many weeks later. This is sadly not an isolated case: reports of abductions for forced recruitment and for use as hostages, predominantly by ethnic armed groups, are increasing. I also continue to receive reports of other grave violations, including sexual and gender-based violence, torture, killings and arbitrary arrest by all sides. I reiterate that investigations should be conducted into all such allegations and that perpetrators be held to account. Military personnel who are alleged to have perpetrated violations against civilians must also be held accountable and should be prosecuted in a civilian court. Also of concern is the continuing detention and reported torture of individuals with suspected ties to ethnic armed groups under section 17 (1) of the Unlawful Associations Act. In particular, there has been a sharp increase in cases in Rakhine where reportedly some arrests have been made with little supporting evidence. During my visit, I also met with internally displaced persons (IDPs) in Kachin, Rakhine and Shan States and heard of their daily struggles to survive, earn a basic living and access basic services such as education and healthcare. In this context, humanitarian assistance provides a lifeline to communities and I was concerned to hear of the extensive difficulties in accessing and delivering such aid to several areas. In Rakhine State, I was informed that international non-governmental organizations are required to seek travel authorisations through a cumbersome procedure, with additional authorizations required for areas in the northern part of the State. Muslim staff members face restrictions in their freedom of movement and require additional travel authorisations which hamper their ability to perform their functions. In Kachin State, humanitarian access is shrinking particularly to non-government controlled areas. Previously there was access albeit subject to some limitations to the more than 40,000 IDPs in non-government controlled areas. However, access has been blocked in recent months with a proposal made to deliver assistance to neutral or government controlled areas – a 1.5 day walk for many of those affected. I had hoped to visit Laiza to look into these developments, but unfortunately was refused access to security considerations. In Northern Shan State, access is hampered by shifting front lines. The situation is becoming more complex with multiplying numbers of actors using armed force. I am particularly concerned by reports from civil society actors that the fighting between the TNLA and RCSS is starting to create tensions between civilian communities in affected areas. Their work in ensuring that communities are not further divided is even more vital now. Whilst I was given positive signals on the feasibility of a visit to Kutkai until the day before my arrival in Shan State, my request was ultimately denied due to ‘security considerations’ forcing a late change in my schedule. I regret that I was unable to see the realities on the ground for myself. During my visit, I repeatedly heard the sentiment that for communities affected by conflict, things have yet to change. They saw the recent elections as a sign of hope but they are still awaiting real change. Durable peace must be achieved to allow these areas of the country, and others to see the change they have been waiting for. I discussed the peace process and the 21st Century Panglong Conference with many interlocutors. I was encouraged to hear that efforts are being made to reach out to all ethnic armed groups. It is vital that the process is truly inclusive, collaborative and open in order to build a sustainable peace going forward. Civil society actors must be seen as partners in this process, and have a voice in all areas of discussion. This includes issues which are seen by some as political, but in fact have significant impact on human rights. The previous Government made a commitment to ensure at least 30% representation of women at all levels of the peace dialogue. This commitment should be met as a minimum. During my visit, I met with a number of qualified women working in the area of human rights and conflict, who would be an asset to the process. I hope that an effort will be made to ensure such individuals are included. A gender perspective must also be incorporated into all areas of the dialogue. IDPs informed me that they are afraid to return to their villages due to the continuing presence of soldiers and the risk posed by landmines. I was pleased to hear from the Ministry of Defence that demining has been completed in a small area in Kayin State. I urge that such programmes be extended throughout the country where there has not been recent active conflict, with assistance from the international community. During my visit, I addressed continuing reports of discrimination against ethnic minorities, including through restrictions on the freedom of religion or belief. These issues must be addressed in future political dialogues in order to tackle the root causes of conflict and the long-standing grievances of ethnic communities. While the creation of an Ethnic Affairs Ministry is a welcome step, the necessary institutional, legal and policy framework should be established to ensure greater respect for the rights of minorities. In this regard, the Government should consider developing a comprehensive anti-discrimination law or policy to ensure that minorities can exercise their rights without any discrimination and in full equality before the law. The recent establishment of the Central Committee on Implementation of Peace, Stability and Development of Rakhine State signals the priority given by the Government to addressing the complex challenges facing both communities. Nevertheless, my visit to Rakhine State unfortunately confirmed that the situation on the ground has yet to significantly change. The conditions in the IDP camps I visited remain poor with concerns about overcrowding, the deterioration of temporary shelters and housing, and the lack of proper sanitation facilities. While there is rightful emphasis on ensuring development and humanitarian assistance to all communities, ending institutionalized discrimination against the Muslim communities in Rakhine State must also be an urgent priority. The continuing restrictions on the freedom of movement of the Rohingya and Kaman communities cannot be justified on any grounds of security or maintaining stability. In fact, as I have previously highlighted, such restrictions severely affect all aspects of life, including access to basic services and livelihoods. They also hamper community interactions and impede any prospects for long-term stability and reconciliation. Progress is needed on this key issue in order to address other human rights concerns in Rakhine State. I note that the Government has re-initiated a citizenship verification exercise in several townships and villages, with plans to roll out the exercise throughout the State. Identity cards for national verification are being issued - without designations of race and ethnicity and without expiration dates. I must acknowledge the Government’s attempt to learn lessons from a similar verification pilot exercise conducted in Myebon last year. Yet, response to this latest initiative has been lukewarm at best. Many with whom I spoke, including representatives of the Kaman community, expressed frustration that citizens or those entitled to citizenship were required to undergo this process. Some in the Rohingya community also provided me with copies of National Registration Cards (pink cards) held by their parents and grandparents dating back generations. There was also distrust and scepticism of the Government’s initiatives given the revocation of the Temporary Registration Cards (white cards) last year and previous citizenship verification exercises. The residents in one village in Rakhine State refused to participate in the verification exercise for these reasons. Additionally, I was informed that they had not been given prior information on the exercise and had received no further explanation subsequently. If the verification exercise is extended throughout Rakhine State, it would be important to fully consult and involve those directly affected by this process. Clear timeframes should be established on when participants will have their status reviewed and when decisions on their applications can be expected. The Government must address the situation in Myebon where those granted citizenship continue to face restrictions and demonstrate that all those granted citizenship will automatically acquire the rights to which they are entitled. It is clear that tensions along religious lines remain pervasive across Myanmar society. Incidents of hate speech, incitement to discrimination, hatred and violence, and of religious intolerance continue to be a cause for concern. While I commend Daw Aung San Suu Kyi’s commitment to combating and publicly condemning hate speech and incitement to violence against minorities, other public officials and political leaders must also speak out. During my visit, I specifically addressed recent reported attempts to build pagodas or stupas on the property of or in close proximity to churches and mosques in Karen State. I also expressed concern at the recent mob attack resulting in the destruction of a house, mosque, a school and a Muslim cemetery in Bago. Whether deliberate or not, the incident can be seen as an attack on the past, present and future of one community. It is vital that the Government take prompt action, including by conducting thorough investigations and holding perpetrators to account. I am therefore concerned by reports that the Government will not pursue action in the most recent case due to fears of fuelling greater tensions and provoking more conflict. This is precisely the wrong signal to send. The Government must demonstrate that instigating and committing violence against an ethnic or religious minority community has no place in Myanmar. Perpetrators will be treated seriously in accordance with the law regardless of race, religious or ethnic background. At the same time, comprehensive measures to address the root causes of such tensions and violence must also be taken. Prevention should be prioritized, including through education, and information and media campaigns, in order to deconstruct discriminatory and negative stereotypes. Initiatives to promote interfaith and intercommunal harmony must also be taken in cooperation with civil society, as well as religious and community leaders. Priority attention on economic, social and cultural rights is also of fundamental importance. As Myanmar continues to open up, the impact of development projects on these rights is becoming increasingly prominent. Development is needed for increased prosperity but should not come at the cost of human rights. Careful planning should be undertaken to ensure a rights-based approach which maximises the benefits for all. I met an individual who will shortly lose her family home to a mega-development project. She and other villagers were given no opportunity to discuss the project, but were instead summoned and informed that they would have to leave their village. She does not know if or when she will receive compensation or if there will be relocation options provided. Across the country, hundreds of others face a similar situation. This is unacceptable, and priority must be given to ensuring that communities are consulted in a meaningful process, and that relocations are conducted in line with international standards. Time will be needed to develop and enforce the normative framework in this area, and to gain the capacity and expertise to properly scrutinise projects. In this vein, I welcome the decision of the Ministry of Natural Resources and Environmental Conservation to halt Government timber extraction for one year. This will enable the Ministry to review the current state of forests and to ensure that they are used sustainably. In this regard, a similar temporary moratorium on large-scale development projects should be considered in order to conduct meaningful consultations with affected communities and full social and environmental impact assessments. During my visit, I met with civil society groups active in the jade mining areas. They told me of the dire conditions faced by local communities, including extensive environmental degradation, continuing land confiscations as the mines expand, and weekly deaths from vehicles and landslides, all conducted against a backdrop of disregard for the rule of law. I was pleased to hear that all companies were now required to complete environmental impact assessments in accordance with the new procedures, but further steps are needed. I have repeatedly underlined the need to resolve the issue of land confiscations, both historic and continuing. I was therefore pleased that the new Government quickly formed a new Central Committee to address this issue. The Committee recently completed its first returns, giving 7000 acres back to farmers. This is welcome progress. The Committee assured me of their desire to resolve the remaining cases, but many are complex and will take time. Whilst this process is continuing, priority should also be given to drafting a national land law, which can serve as a basis for fair and transparent land management going forward. Building on the National Land Use Policy, this should be done in a participatory manner, drawing on the expertise of civil society and international organizations. Realizing the right to education will be key to improving the prospects of Myanmar’s next generation. A recent census report on employment showed that one in five children are in employment rather than education. Birth registration rates remain low across the country, but particularly in some conflict areas where no registrations have taken place due to difficulties accessing registration centers. The birth registration rate of Muslim communities in Rakhine State is also alarmingly low. Given my professional background, I have a particular interest in this area and have offered my assistance to parliamentarians and others working on issues related to the rights of children. I hope this is one of several areas where we can work together going forward. Education for IDPs continues to be limited across the country. In all IDP camps I visited, ensuring access to education was the primary concern. In Kachin State, I was told of the lack of schools at the secondary and tertiary levels and low quality of education in the primary schools provided in the camps. In Rakhine State, I visited an IDP camp for the Rakhine community, where I was informed that children have to walk three hours each morning to reach a secondary school. In camps for Muslim communities around Sittwe, there is only one secondary school. Steps should be taken to secure universal access to education for all across the country, and priority attention should be given to IDP communities facing protracted displacement due to conflict. In Rakhine State, improving access to and the quality of education is one concrete and feasible step which can go a long way to improving the situation for all communities. It is particularly vital that restrictions impeding access to education for Muslim communities are removed. Improving access to health care continues to be a priority for Myanmar, but particularly for IDPs in conflict-affected areas. This was another priority concern expressed to me in all IDP camps I visited. In Rakhine State, extending access to health care is vital for all communities and could provide a similar tangible step towards improving the situation on the ground. Of particular urgency is the need to remove restrictions preventing Muslims from accessing medical treatment in some Township Hospitals. Currently, Muslim communities are only able to seek treatment at Sittwe Hospital which, for some, is several hours’ travel. Even in medical emergencies, special permission to be referred to Sittwe Hospital is required, which is time consuming and cumbersome. This has resulted in preventable deaths and could lead to more if not urgently addressed. It is vital that all people are granted safe and timely access to health services without discrimination. As a minimum, it is important to ensure that all people (including Muslims and people of unresolved citizenship status) have safe access to all Township Hospitals in emergency cases. I raised this suggestion with several interlocutors and received assurances that steps towards this will be taken in this regard. I look forward to hearing of prompt action in this area. Let me conclude by reiterating my firm belief that Myanmar’s young democracy can only progress if human rights are fully mainstreamed into its institutional, legal and policy framework. Building a culture of respect for human rights must be a priority now and in the future. While I am aware of the need to give space and time for the new Government to address the many complex challenges facing the country, I must remain constructively and critically engaged and vocal in encouraging and advocating for greater progress on human rights. I must also continue to hold Myanmar accountable to its international human rights obligations. That is my mandate as Special Rapporteur. The international community also has a responsibility in this regard. In the rush to forge or strengthen political or economic ties, international actors must continue to prioritize human rights, particularly in business and investment relations. International actors should not undermine human rights priorities, including by remaining silent when confronted with human rights concerns or at worst, becoming complicit in perpetuating human rights abuses. The international community must remain fully engaged on human rights issues in Myanmar. It should also remain committed to providing necessary assistance and support to further the reforms in line with international human rights standards. It is vital that all actors work together to ensure human rights are respected and protected across Myanmar. At the start of my visit, I stated that my objective, as Special Rapporteur, is to continue to work closely with the Government and people of Myanmar, for the promotion and protection of human rights in the country. I reaffirm that pledge to you now.